As we begin a new year of celebrating #28daysofBlackCosplay, I wanted to take this time to assemble a basic FAQ of what people need to know about what is going on and what one would need to do to participate. For many in my community, this time is important, as it’s a great way to shine the spotlight on many talented cosplayers of color regardless of their skill level. While all of the answers here may not be a ‘one size fits all’ answer, this will hopefully be enough to start clarifying what #28daysofBlackCosplay is, and perhaps create positive discourse among cosplayers. A young lady by the name of Chaka Cumberbatch is responsible for this movement. With her leadership as well as a few others of us pushing to get the word out for this movement, we have managed (in a relatively short time) to make this an annual event that people of color as well as many others, look forward to. 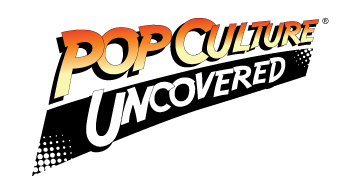 What exactly is “#28daysofBlackCosplay” and why is it so important? It’s rare that you see Lando Calrissian, but a female Lando? Rule 63 rocks! 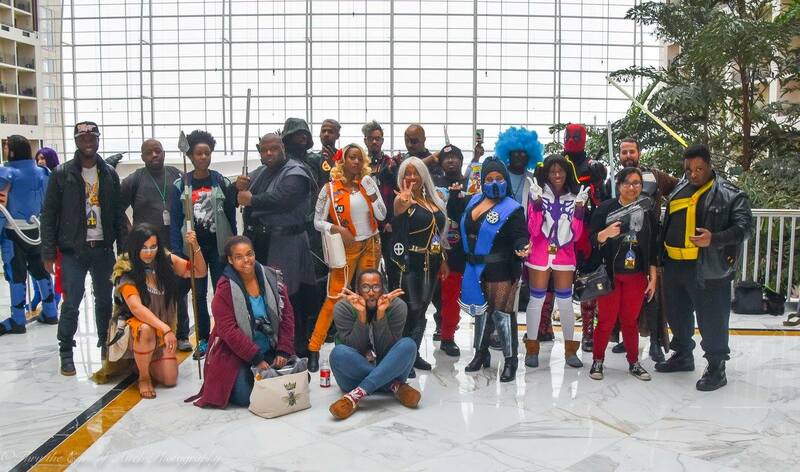 “#28daysofBlackCosplay” is when cosplayers take to social media in February – also Black History Month – to showcase cosplay from all over the world featuring people of color. It doesn’t matter their age, skill level, or where from, it’s a time that we use to celebrate who we are as cosplayers. For many of us it’s a matter of self esteem, especially being in societies that have for so long told people of color that we don’t matter and that our looks are inferior. Doing this gives us a sense of pride to show others that we are just as able as any of our non-POC counterparts to do what they can do and get the same amount of respect. Also, when we see that the growth of minority characters in movies, comics, gaming and other media is glacially slow, we can – through cosplay – break long-standing barriers, reinforce the idea that we as black cosplayers exist, and that the most popular characters don’t always have to be white and male. What are the requirements to getting involved? The requirements are very minimal. First off, let me stress that you don’t need a special invitation, need to be part of a secret club, get a secret handshake, or wait for a phone call. You don’t need to be a professional cosplayer, or even need a hook up to get involved. ALL YOU SIMPLY HAVE TO DO IS HAVE ACCESS TO SOCIAL MEDIA AND USE THE HASHTAG #28DaysOfBlackCosplay. This is how it works: If you are a cosplayer of color, post your picture on Instagram, Twitter, Facebook or whatever social media you want to use with the hashtag. It’s that simple. If you are a photographer and you own the pictures, post the pictures with the hashtag. If you know the cosplayer’s info, add that with the picture so that they can get credit as well. It takes little time to do this. Also it costs you absolutely nothing to do. What if I am a minority but not Black but want to support as well? Being as many minorities are underrepresented in mainstream media, I would personally say, do what you feel is best in your heart. Your miles may vary and if you decide that you want to do Hispanic cosplay month or anything like that, many of us will be there to support. If you feel uncomfortable posting your own pictures, then re-tweeting or re-gramming pictures is always a positive boost to getting the word out. What if I am a non POC majority and I want to support as well? If you are a photographer and you have pictures of Black cosplayers, please post those pictures. If you know the cosplayer please, again, give them credit. If you are a cosplayer, all I can simply say is, use your best judgement. Again, re-tweeting and re-gramming pictures are the best way to go to show solidarity. What if I am not American, can I take part as well? Why of course you can! The goal of this movement is to make this a worldwide movement so that no matter who you are, as long as you have access, you can post your picture and share with the world. What if I don’t cosplay and I have no photos? It’s the same as above when it comes to using your best judgement. Again, re-tweeting and re-gramming pictures is the best way to keep the movement going. I must add however, please do not take other people’s pictures and try to pass them off as your own. Give credit to the photographers and cosplayers as many have worked hard to get some of the pictures that you will see throughout February. If you cannot ID them, respectfully add a disclaimer that the picture and work is not yours. Also as some websites may choose to do a post this month, if you are one of those creating those sites, please get WRITTEN permission from the cosplayer and photographer before using their work. Also when using their work please do NOT crop out the watermark if any are in the photos. What if I don’t have any professional photos? This isn’t about who has the coolest photos or who can best Photoshop unicorns breathing fire to make your picture the dopest one out there. It’s simply a matter of if you are a cosplayer of color and you enjoy the hobby, all you simply need is a picture of yourself in cosplay to post. What if I don’t have any professional grade, expensive, or armored, cosplay costumes? Also what if I bought my cosplay? This also isn’t about who has the best costume as this is not a contest. #28DaysOfBlackCosplay celebrates cosplayers on all levels regardless if you build props and costumes that may cost mighty sums to a regular person who wants to put on a Superman shirt. Regardless of your costuming level, if you are a cosplayer and you want to get involved, post your picture. But isn’t this movement divisive? Because even our smallest ones should aspire to be heroes one day. Let’s be frank about this. It’s only as divisive as you make it. This goes for anyone of any background and I have personally dealt with people of color who believe it is. Sadly, you cannot get everyone on board with the idea of what we are doing being a positive for those not used to seeing black heroes and heroines. This movement is not about being racist or bigoted, nor is it meant to make one group superior over another. The most we can do is reach one person at a time and hope they pick up the baton and run with it. This movement isn’t meant to be divisive, it’s meant to try and give a better understanding of how we all fit into society equally. It’s meant to uplift us all and put us all on equal footing. It’s a movement that is supposed to get us to a point where a person can be a super hero not seen as the “black version” of the character, but just that character regardless of their race. My advice is don’t waste time with those seeking negativity in this movement but spend more time with those wanting to talk and become better with understanding what this movement means to us. The bottom line, is that “#28daysofBlackCosplay” is all about creating a positive atmosphere in the cosplay community. It’s a way to express positive images to those that don’t normally see any. It’s a way to let others know that you can cosplay anyone that you want to cosplay regardless of how you look, your body type, skin color and so on. Don’t be afraid to cosplay a Superman, Captain America, or a Wonder Woman. Do it because of what that character means to you and how you can best interpret that character. It’s about showing everyone that we are just as talented – if not more than talented – and skilled than many of our non POC counterparts and that in order to bring positive changes to the geek community, we should be recognized as well. Take a moment now, hit your social media site and put in #28daysofBlackCosplay. Enjoy it for the positive vibes it will send throughout this month. Excellent post! We definitely need to bring awareness for all who want to cosplay or be nerdy. I haven’t had to deal with too much exclusion because I grew up in a large, tourist city (One guess, there’s a famous mouse involved lol) and we have conventions here all the time. I hope everyone has a fun and safe February!